Sunglasses trends come and go, but your face shape stays the same. And that’s actually good news! Once you understand which frames best flatters your face, you’ll always know which sunglasses to be drawn to and which to avoid. For example, if you have a heart shaped face, you should wear sunglasses that are wider on top than they are on the bottom. 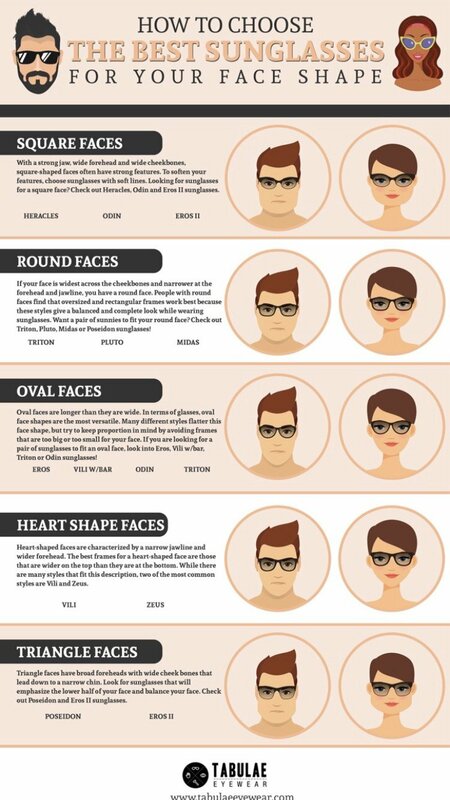 Or if you have a round face, look into getting rectangular frames to compliment your face shape. Stay up to date with the current sunglasses trends yet make sure they flatter your face!